It’s 1:00 am on a Friday night. You just left your favorite club in South Beach and are about to get in an Uber to take you home. 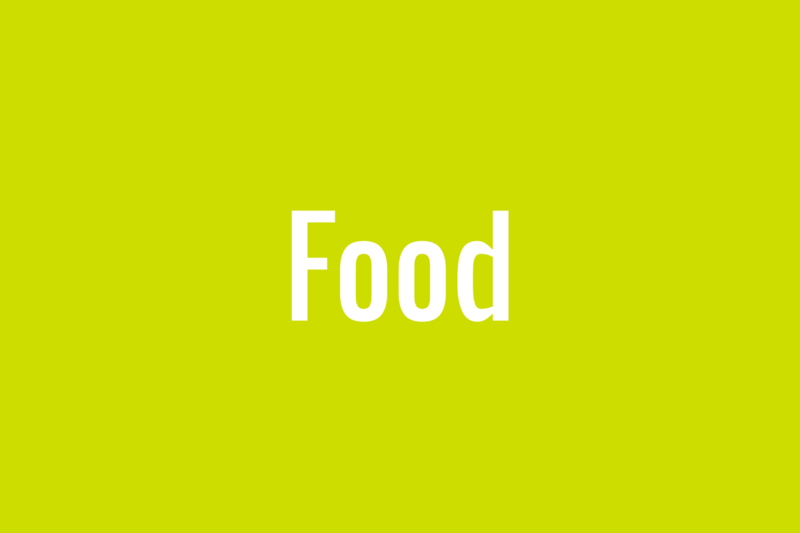 Before you know it, the inevitable post-going-out hunger is setting in and you need a plan of action. Uber eats? Expensive. Postmates? Too slow. So, let me tell you about something even better: Canes Crunch. 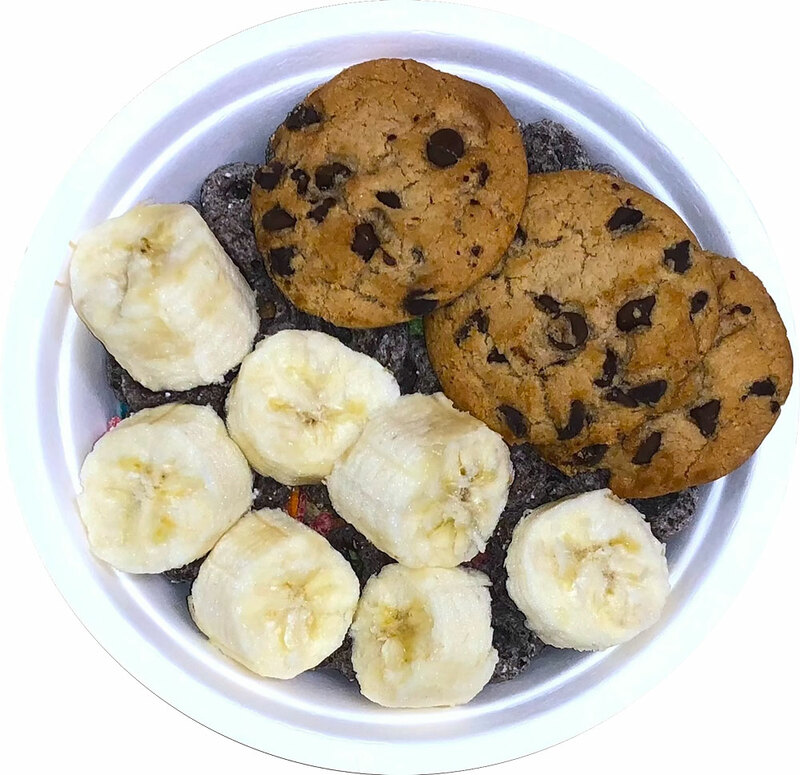 Canes Crunch is a small business, started by one of UM’s very own, Senior Graham Watkins, that delivers extravagant, customizable bowls of cereal late at night and right to your door. First, a little bit of history on Canes Crunch. First Capital Crunch (of Crunch Corp.) was founded in Madison, WI during the summer of 2017, which delivered cereal around Madison. Crunch Corporation was brought to Coral Gables that fall and thus, Canes Crunch was born. Now delivering an average of 40 bowls a night, Watkins said the brand has really taken off at the U. What is it about cereal in the middle of the night that is so desirable? Maybe it’s eating sugary cereal in the middle of the night, something your parents never let you do as a kid, that leaves you nostalgic. Or simply put, “The thought of a bowl of cereal being delivered to you is almost hysterical,” as Watkins said, grinning at the thought himself. Delivering anywhere from the freshman dorms to in line at a bar, with easy communication, you’ll never have to deal with a lost and confused delivery driver again. Canescrunch.com features a wide variety of 20 different cereal options and nine toppings including whipped cream and cosmic brownies; no doubt there is a combination for everyone (yes, even vegans). Specialty bowls are also available on the menu. Feeling extra indulgent? The “Backwoods Bowl,” described as “A robust mixture of Cocoa Puffs and Reese’s Puffs” is for you. Feeling healthy? Cheerios topped with fresh fruit and almond milk is your go to. Now that you’re definitely hungry, let me walk you through my experience with Canes Crunch and show you exactly how it works. First, make sure you’re following @canescrunch on Instagram to know when it’s open; generally it’s weekends from 9:00 pm – 2:00 am. Through the website linked on the Instagram page, I ordered my custom bowl. 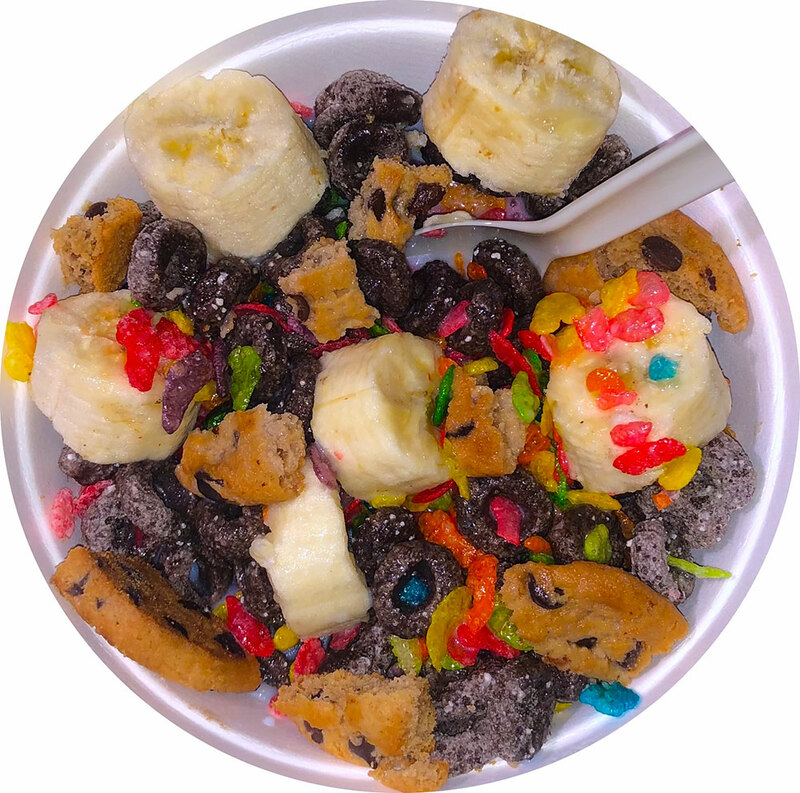 I got a bowl of Fruity Pebbles and Oreo-O’s topped with bananas and chocolate chip cookies, complete with non-fat milk on the side. And the best part? I only had to wait about 20 minutes before I got a text saying my munchies had arrived, hardly a wait, before digging into my bowl of sweet, crunchy childhood memories. As I’m sure it goes without saying, my bowl was delicious. A cheat meal every now and then never hurt anyone.